If you have lost a tooth due to an injury, a disease or other reasons, you might be exploring what your available options are in terms of replacing the lost tooth. One such option that you might want to consider is getting dental implants. Corona locals interested in this procedure should read the important details listed below. Dental implants are a type of treatment that is tailored to the unique condition of a patient, often requiring the expertise of different professionals. During the consultation phase, your dentist will determine the best place to put the implant and the type of implant that should be used. If a patient has lost just one tooth, the procedure will require just one implant and one crown. However, if the patient is missing a few teeth, he will need an implant that can support bridges. If the patient has lost all of his teeth, he will need a full bridge or a full denture supported by an implant. Sometimes, a patient needs to undergo other treatments in order to become a suitable candidate for dental implants. One such treatment is sinus augmentation. Here, the sinus floor is raised so that there is sufficient bone quality and quantity to place the implants in. If the patient has deformities in either of his jaws and has inadequate bone to place the implants, he may need to undergo ridge modification. Here, the gum is lifted to expose the defect and then the ridge is built up by filling it with either bone or a substitute. 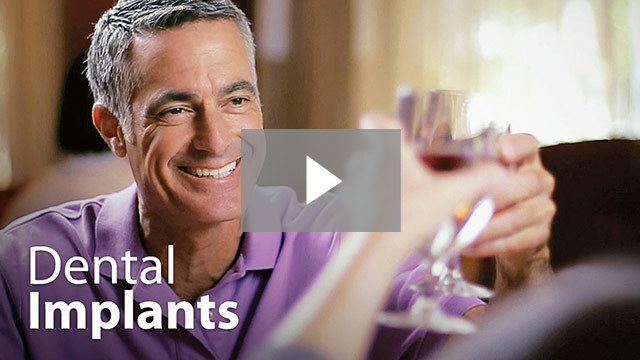 Dental implants are not for everyone. Your dentist needs to carefully evaluate you and your condition in order to ascertain that you are fit for the procedure. In general, you need to have good general and oral health. Furthermore, you should have adequate bone in your jaw. This will serve as the foundation for the implant. Also, you should not have periodontal disease and you must have healthy gums. Dental implants are classified into two types: endosteal and subperiosteal. Endosteal implants refer to blades, screws and cylinders that are placed into the jawbone. These can hold one or more prosthetic teeth. This type of implant is recommended for patients who may otherwise opt for bridges or removable dentures. Subperiosteal implants are placed on the top of the jaw by using a metal framework which has posts that protrude through the gum. This type of implant is recommended for patients who have minimal bone height and are unable to wear regular dentures.